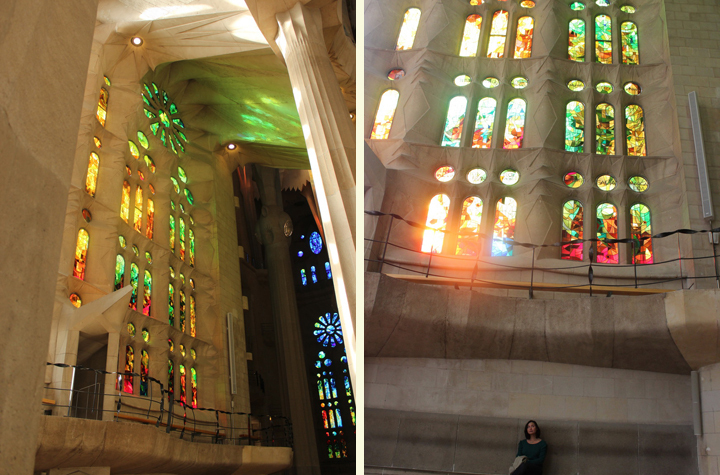 Mr. Selfish and I went to La Sagrada Família with little to no expectations, but we were blown away by its magnificence. La Sagrada Família is a basilica, on which Gaudi began working in 1883. 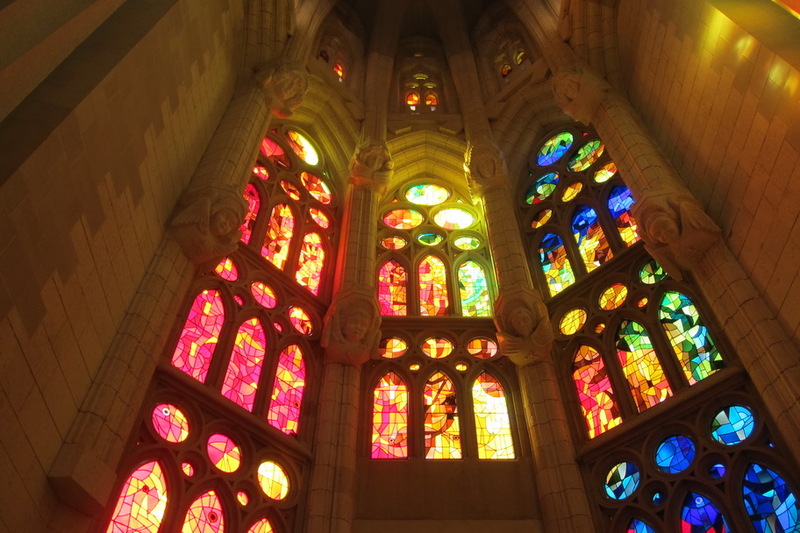 When Gaudi died in 1926, less than a quarter of the basilica had been completed. 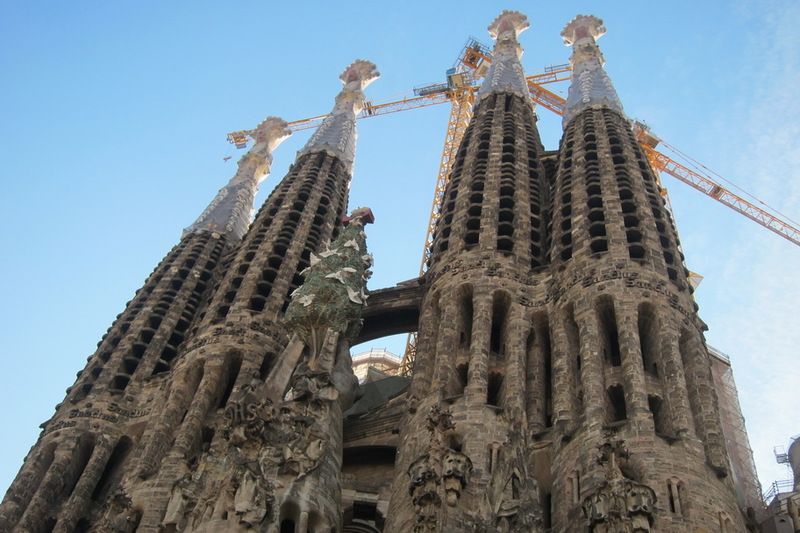 In 2010, construction passed its midway point, and the Sagrada was consecrated as a minor basilica by the Pope. 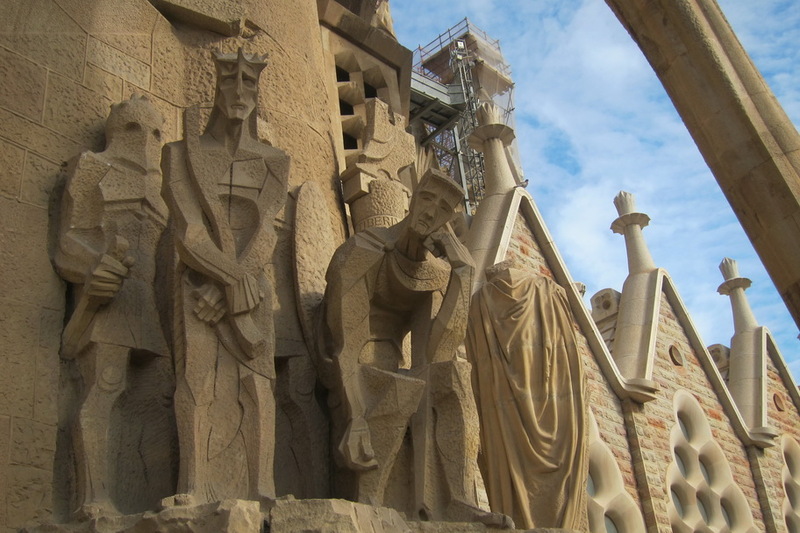 It is anticipated that the Sagrada will be completed in 2026 – the centennial of Gaudí’s death. 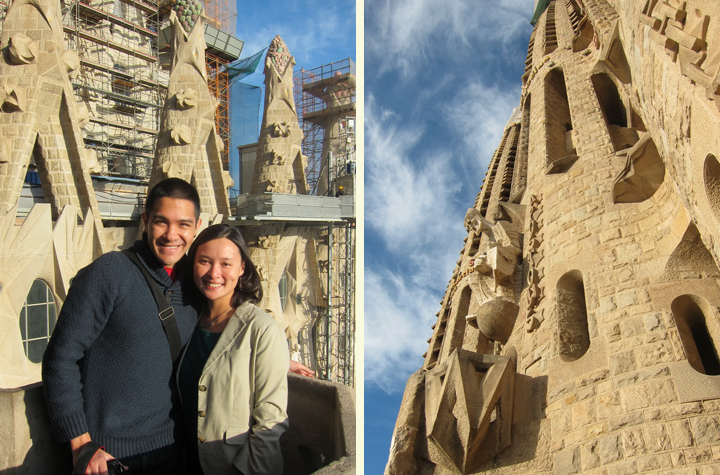 The day that we visited the Sagrada was beautiful and sunny. We saw the front and the sculptures adorning that area in full sunlight. It was spectacular. The backside was also quite interesting and contains a nativity scene. However, I found the inside to be quite different from other basilicas, and trust me, I’ve been to quite a few (on this trip alone). 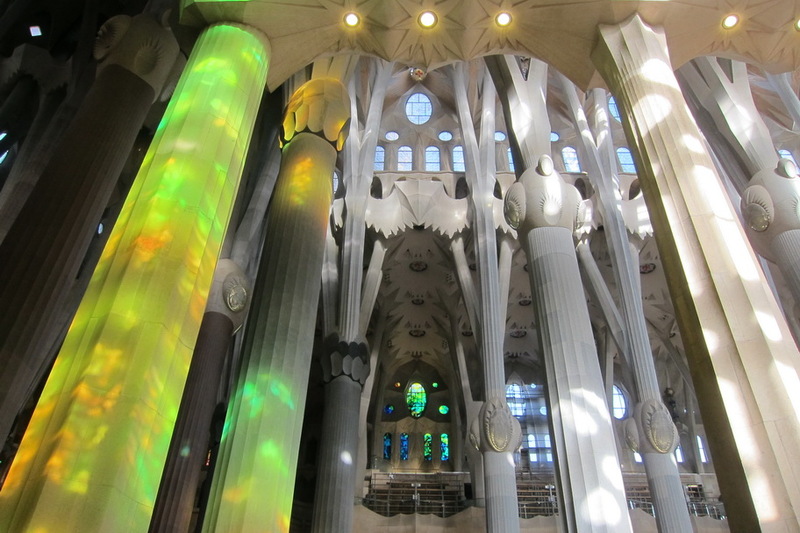 The columns and the stain glass looked other worldly to me. 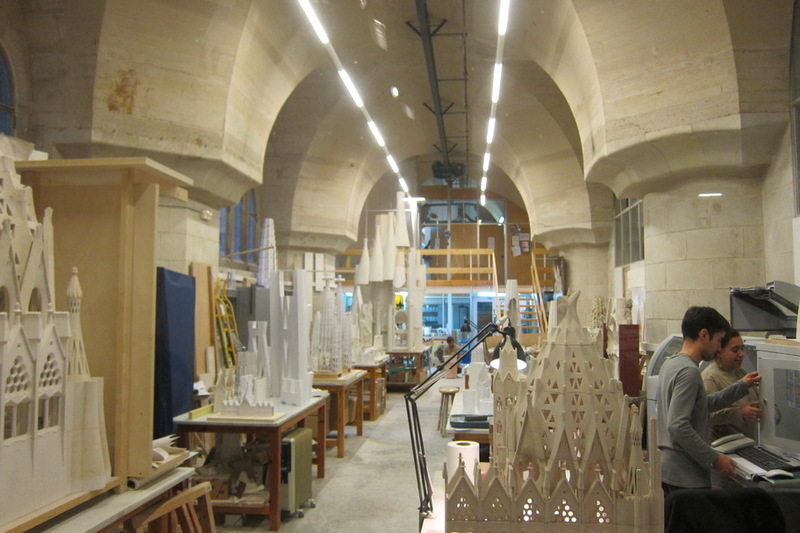 Downstairs is a museum containing some of Gaudi’s original drawings and the workshop where the models for the designs are made. 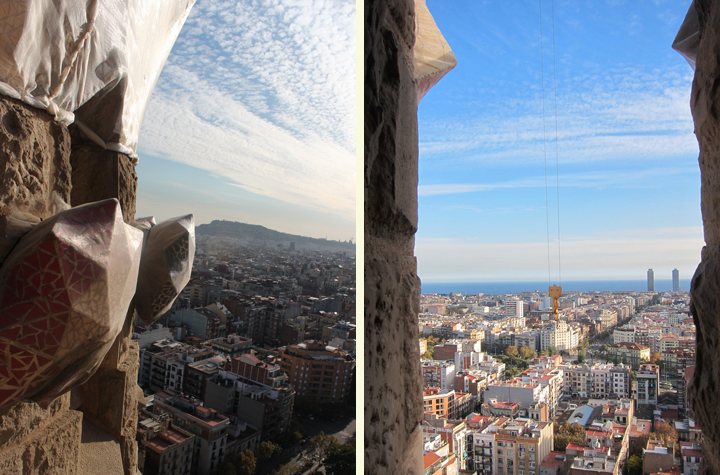 We also paid extra to take the elevator up one of the towers in the Sagrada. It was quite a view at the top, and then, you have to walk all the way down. 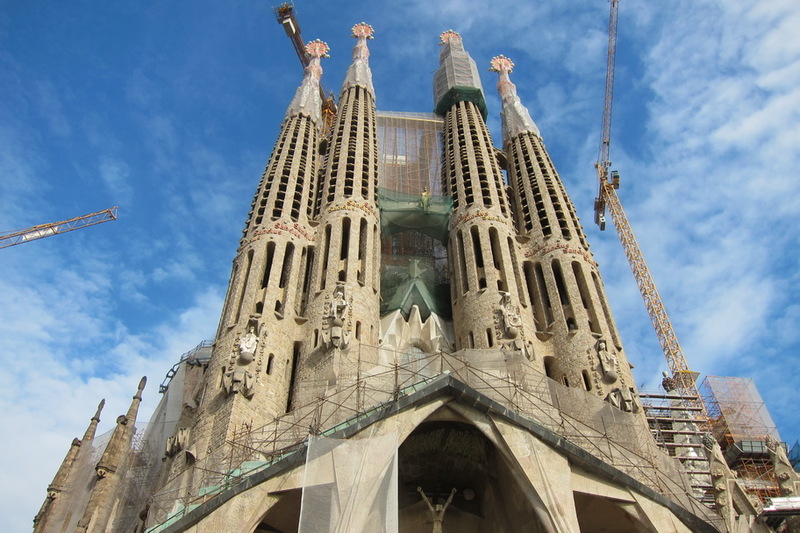 I usually don’t like to repeat monuments, but I am seriously considering coming back to La Sagrada Família in 2026 when it is finished. 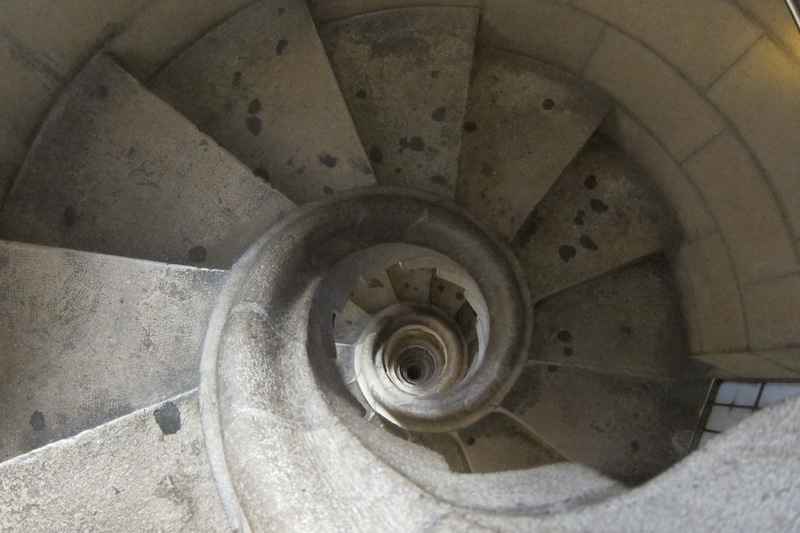 Tomorrow, we’ll visit the last Gaudi site that we visited – Guell Park.